In "le Yacht" nautical magazine (issued October 19th, 1957), F 10 is christened "Napoléon 56", belonging to Mr J. Lebrun. 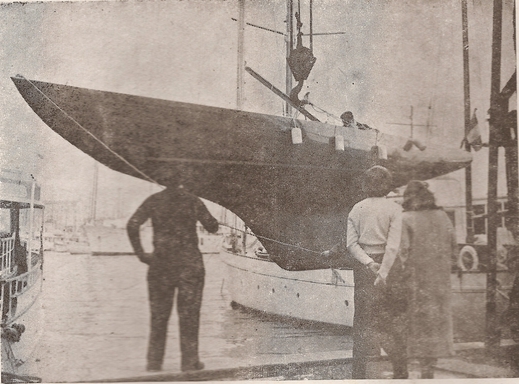 She is deisgned by E. Cornu, and built at Chiesa boatyard. She was sailed intensively at those times, being the French representant at Genoa's regattas. She was among the finalists for the Coupe de France in 1956, winner of Longines Challenge in 1956.